BentoLunch.net - What's for lunch at our house: Rice Bear Bento and a Bento Find! 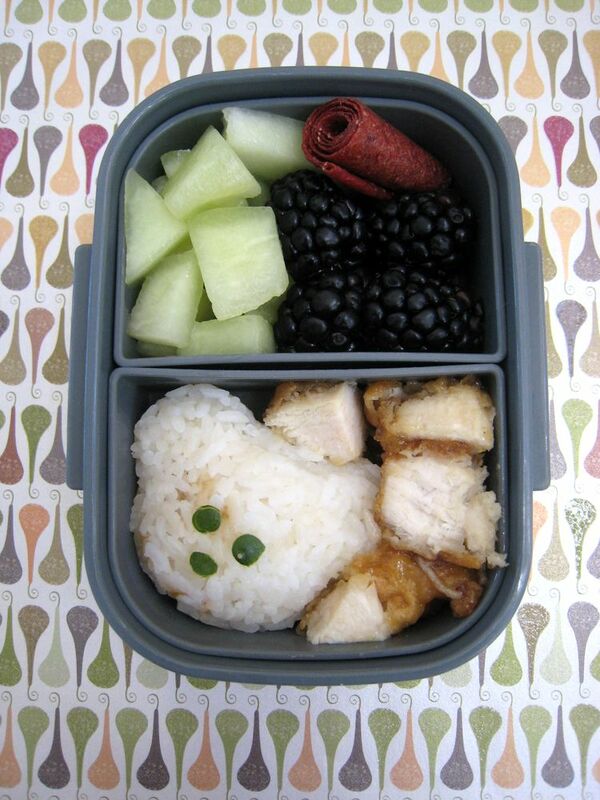 Rice Bear Bento and a Bento Find! Trying something we don't usually do for bentos--molded rice! F&B prefer their rice fresh out of the rice cooker, so I wasn't completely sure how this one would go over. They did eat it, but Faith commented that the rice was a bit hard. ;o) I kind of expected that. This would be Ben's box. He has a rice bear (F had Hello Kitty shaped rice) with a bit of cucumber to make the eyes and nose. To go with the rice, he has some leftover crispy-honey chicken from Pei Wei, some blackberries, honeydew and a strawberry-apple fruit roll-up I made the other day. And on a separate note, look what I found at Target this evening! 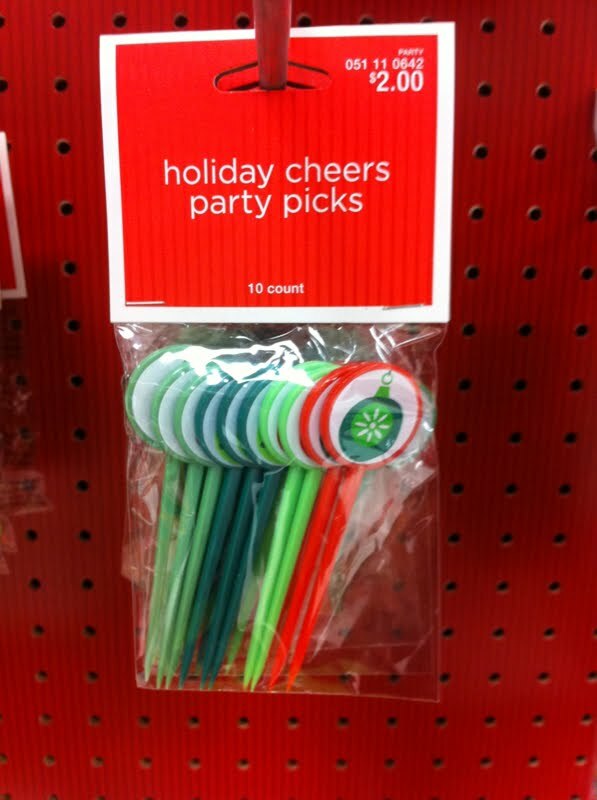 Christmas food picks, which I cannot wait to use. 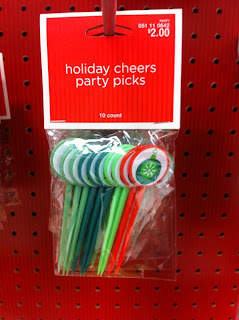 They also had similar patterns of swizzle sticks, which also have bento potential. Love those bento finds! Ines that I can get too. I found some little Halloween flags with cupcake wrappers....but I never got to make a Halloween bento! Next year!